The Anatomy of Violence NPR coverage of The Anatomy of Violence: The Biological Roots of Crime by Adrian Raine. News, author interviews, critics' picks and more. 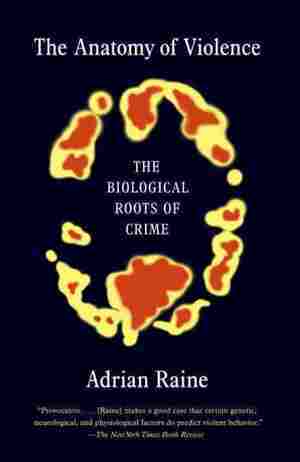 Criminologist Adrian Raine argues that while there is a social and environmental element to violent behavior, biology also plays a role. March 21, 2014  Adrian Raine argues that violent behavior has biological roots just like depression or schizophrenia. This raises questions about treatment, accountability and punishment, including the death penalty. 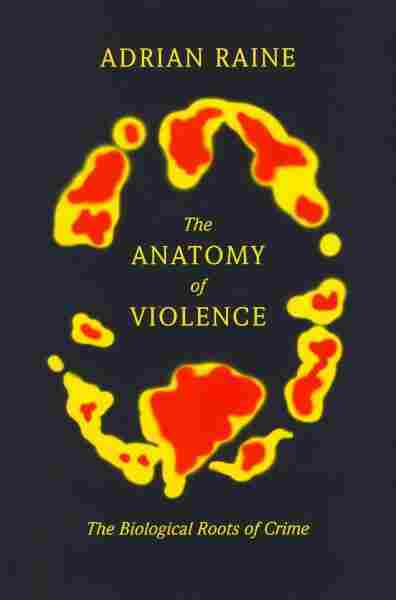 April 30, 2013  In a new book, The Anatomy of Violence, Adrian Raine argues that violent behavior has a biological basis just like depression or schizophrenia. This raises questions about treatment, accountability and punishment, including the death penalty. It was the summer of 1989 in Bodrum, a beautiful seaside resort on the southwestern coast of Turkey, soaked in sun, history, and nightlife. I was on vacation and it had been a long day. I had taken the bus from Iráklion, where I had caught the second-worst case of food poisoning I had ever had in my life, including two days in bed throwing up with backbreaking pain. It was very hot that July night, and I could not sleep. I had kept the windows open to try to stay cool. I tossed and turned, still somewhat sick and sleepless — in and out of consciousness, as my girlfriend slept in the room's other single bed. It was just after three a.m. when I became aware of a stranger standing above me. At that time I was teaching a class on criminal behavior, and I would tell my students that when they became aware of an intruder in their apartment, they should feign being asleep. Ninety percent of the time thieves just wanted to grab the goods and then get out. Let them go — then call 911. You run no risk and have a fighting chance of getting your possessions back without a violent confrontation. So what did I do when I saw the intruder at my bedside? I fought. In the milliseconds that it took my visual cortex to interpret the shadowy figure and signal this to the amygdala, which jump-starts the fight-flight response, I leaped out of my bed. In little more than a second, I had instinctively grabbed the intruder. I was on automatic pilot. Information from the senses reaches the amygdala twice as fast as it gets to the frontal lobe. So before my frontal cortex could rein back the amygdala's aggressive response, I'd already made a threatening move toward the burglar. This in turn immediately activated the intruder's fight-flight system. Unfortunately for me, his instinct to fight also kicked in. The next thing I knew I was being hit so quickly that it felt like the man had four fists. He hit me so hard on the head that I saw a streak of white light flash before my eyes. He also hit me in the throat. He seemed to hit me all over. I was violently thrown against the door. I felt the doorknob and I must confess the thought of escape sprang into my mind. But at that instant I heard piercing screams from my girlfriend, struggling with the man. She eventually ended up with bruises on her arms, but I think these were defense wounds and that the intruder only wanted to keep her quiet. Seeing them struggle, the instinctive reaction that had originally come upon me when I was in bed returned. I leaped at him again and somehow managed to push him out of the open window. In that instant I felt an immediate sense of safety and relief. But the euphoria evaporated after I turned on the light switch and saw the blood running down my chest. I tried to shout out, but what came out of my mouth was a hoarse whimper. Completely unknown to me in the midst of that mismatched contest was that the assailant had been holding a knife. Quite a long one, with a red handle and a six-inch blade, it turned out. But I was lucky. As I warded off his blows with my arms, the blade of the cheap knife had snapped off, leaving only a few millimeters of metal left on the handle. So when he attempted to cut my throat, the damage was far less than it might have been. The police arrived surprisingly quickly. The hotel was right beside an army barracks. There had been a sentry on duty who had heard the shouts and screams and he raised the alarm. The hotel had been quickly surrounded, so that when the police arrived they believed that the perpetrator was still inside the hotel. Meanwhile I was taken to the hospital. It was rudimentary and bare. I was laid on my back on what felt like a hard concrete slab, while the doctor put a few stitches in my throat. The window of the hospital room was open, and I could hear in the distance that a party was still going on. The strains of the music wafted through the window, the Beatles' "Hard Day's Night," of all songs. Afterward, the police wanted me back at the hotel to go over what had happened. All the residents were now standing in the lobby, even though it must have been about five a.m. by then. The police had thoroughly gone through the rooms of all the residents in search of my assailant. I learned later that one man had looked a bit flushed when the police pulled him from his bed, and he had a red mark on his torso that looked fresh. He was in the upstairs room right next to me. So he was one of the two suspects waiting for me when I entered the lobby. Both were young Turkish men. Both were naked from the waist up — just as the attacker had been. One was quite a good-looking man, but otherwise there was nothing out of the ordinary about him. The second suspect had a rougher look. He was also stocky and muscular, and what flashed through my mind at that moment was that he had the classic mesomorphic physique that early criminologists believed typified criminals. He also had a striking scar on his upper arm. His nose looked as if it had been broken. His looks persuaded me. He had to be the man who'd tried to cut my throat. The police pulled him aside and had a quiet word with him. But not so quiet that the manager of the hotel couldn't overhear and translate the conversation back to me. The police told him they simply wanted to clear up the case, and if he'd admit that he was the perpetrator, they would let him go. So the gullible guy made his admission, and was promptly arrested. At that point, I'd had enough of Bodrum and Turkey, and I told the police I was off to the neighboring island of Kos in Greece in the next two days. Remarkably, they decided to expedite the trial. It was something of a ceremony at the outset. It started off at the police station. I was placed next to my assailant, and we were marched through the center of the town, side by side, to the courthouse. Quite a number of people came out to watch, as I had been featured in Bodrum's local newspaper the previous day, pictured with a prominent white bandage on my throat. Many of them pointed at us and yelled at the defendant. Although whatever they said was incomprehensible to me, it was clear that the defendant was not a popular man. The trial itself was novel, to say the least. The courtroom looked like a scene out of the Nuremberg trials, but in a distorted dream. There was no jury at all. Instead, there were three judges in scarlet robes seated loftily above us. The defendant did not have an attorney. Neither did I, for that matter. Adding to the strangeness, none of the judges could speak or understand any English, and I certainly could not speak Turkish. So they procured a cook who could speak some English and serve as my interpreter. It was all very surreal. I gave my testimony. The judges asked me how I could identify the assailant given that the incident had occurred just after three a.m. and it had been dark. I described to them how the moonlight was streaming through the window by my bed, illuminating one side of the assailant's face as we struggled. That I had frantically wrestled with him and that that gave me a sense of his stature and build. I said that I could not be completely sure — but frankly, whether that part ever got translated, I'll never know. After I gave my testimony through the cook, the defendant gave his testimony. Whatever he said in Turkish, the judges were not persuaded. They found him guilty as charged. It was as simple as that. After the verdict one of the judges ushered me and my translator over to the bench. He told us that the defendant would be brought back later for sentencing, and that it would be a prison sentence of several years' duration. Justice is swift and efficient in Turkey, I thought. I had seen on that trip more than one elderly man with a hand missing, a vestige of the days when theft was punished by detaching the offending part of the perpetrator's anatomy. That had seemed harsh when I had seen it earlier on my trip. But at that moment in the courtroom, in spite of the seeming lack of due process, hearing that my attacker would see significant prison time was music to my ears. Justice, as they say, is sweet. Until that experience in Bodrum, violence had been primarily an academic concern for me. I'd tolerated my fair share of small-scale crime up to that point — two burglaries, theft, and an assault — but having one's throat cut can change the way one looks at the world, or at least at one's self. My girlfriend and I left the next day for Greece, but as I simmered under the hot sun on the beach in Kos, I remember suddenly feeling a surge of anger about the whole ordeal. The thief, who easily could have killed me, had gotten off easy. He should have been beaten up. His throat should be cut. He should spend the rest of his life a fitful sleeper, hypersensitive to the slightest sound in the night. A few years inside did not seem like justice. It perhaps should have been enough, but to me, especially at that moment, it wasn't. This experience had a powerful effect on me. It broke through my outer façade of liberal humanitarian values and put me in touch with a deep, primitive sense of retributive justice. From an assured English-bred opponent of the death penalty, I became a person who could no longer be ruled out of a jury pool for a capital crime in the United States. An evolutionary instinct for vengeance was triggered inside me, and it has stayed with me for years. Consequently, I have something of a Jekyll-and-Hyde attitude about my work investigating the biological basis to crime. One conclusion I've drawn from the research presented in this book is that biological factors early in life can propel some kids toward adult violence. Risk factors like poor nutrition, brain trauma from childhood abuse, and genetics are beyond an individual's control, and when those factors are combined with social disadvantages and our society's anemic ability to spot and treat potential offenders, the odds are that people with these disadvantages will turn to crime. That means I likely should cut my assailant some slack. And if the standards of that hospital I was in are anything to go by, I'm sure a grim Turkish prison is very unlikely to change his criminal behavior. Are we doing justice to the offender? That's the Dr. Jekyll in me speaking, and it's the spirit in which my scientific work is conducted. But another man inside me doesn't give a damn about what caused my attacker to develop into a violent offender. Mr. Hyde retorts that the man nearly killed me and he should be nearly killed too. To hell with forgiveness and pseudoscientific drivel about early biological risk factors that constrain free will. Out of professional interest, I should have investigated further, but at the time, in his specific case, I did not care. I do know that during the summer months before attacking me he had already committed nineteen thefts — he owned up to the police after his capture so he would not later be prosecuted for them. None of these victims had been injured — so I put down my bad luck to Mr. Hyde's instinct of leaping up at him and grabbing him by the throat. In any event, Hyde rants that a recidivistic criminal like him should be locked up and the key thrown away forever — we need to protect ourselves from these dangerous villains. In the intervening years I've had more time to reflect on my reactions to that attack. Is defensive aggression genetically built into us? Can my brain be wired to aggressively respond even though my rational mind, trained by years of experience, tells me that's just not the right response? And what do I make of the fact that my physical perception of that suspect in the identity parade biased me to conclude he was the culprit? During that instant there in the hotel lobby, as I gazed on his torso and face, there was literally a "body of evidence" standing in front of me, a man with the anatomy of violence written all over him — a body I'd had tangible experience of during my struggle. That body of evidence, and the sliver of moonlight streaking into the dark bedroom allowing me to see my attacker's face, symbolizes to me in a metaphorical sense the dawning of a new beacon of research light helping us to identify the violent offender — and what makes him tick. A radical change has been taking place in recent years regarding our understanding of how and why people become violent criminals. That change is what The Anatomy of Violence is all about. The dominant model for understanding criminal behavior has been, for most of the twentieth century, one built almost exclusively on social and sociological models. My main argument is that sole reliance on these social perspectives is fundamentally flawed. Biology is also critically important in understanding violence, and probing through its anatomical underpinnings will be vital for treating the epidemic of violence and crime afflicting our societies. Today this perspective is slowly but surely seeping into public consciousness, largely because of two recent scientific developments. First, molecular and behavioral genetics is increasingly demonstrating that many behaviors have in part a genetic basis. Genes shape physiological functioning, which in turn affects our thinking, personality, and behavior — including the propensity to break the laws of the land, whatever those laws may be. 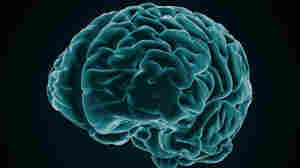 Second, revolutionary advances in brain imaging are opening a new window into the biological basis of crime. Together these two advances are prodding us to redefine our sense of self. They have jointly placed us on the threshold of the new discipline that I call neurocriminology — the neural basis to crime — which involves the application of the principles and techniques of neuroscience to understand the origins of antisocial behavior. By better understanding these origins, we will improve our ability to prevent the misery and harm crime causes. The anatomy of violence encapsulates this exciting and vibrant new approach to the discipline of criminology that Lombroso himself spawned but that had been all but abandoned throughout the twentieth century. There is a third development that is not so much scientific as an undeniable historical fact. The heavy emphasis on an exclusively social approach to crime and violence throughout the last century did nothing to turn the rising tide of this perennial problem. It is widely acknowledged in criminology that as crime went up throughout the 1970s and 1980s our society largely gave up on the rehabilitation of inmates. Prisons became holding bays for the unrepentant — not retreats for the rehabilitation of lost souls, as the Pennsylvania Prison Society espoused in the early nineteenth century. That single-minded approach has just not worked. Thinking of human behavior from a biological perspective is no longer controversial — you can hardly open a newspaper or magazine today without reading about a new breakthrough in how genes and the brain shape our personality and influence the moral and financial decisions we make, or what we buy, or whether we turn out to vote or not. So why would they not also influence whether we commit a crime or not? The pendulum is slowly but surely swinging us back to Lombroso's dramatic nineteenth-century intuition, and forcing us to revisit the tangled ethical quandaries and legitimate social fears inherent in applying a neurocriminological approach. But when one considers the myriad ways in which violence plagues us, the stakes are too high, and the potential good is too great, to ignore the compelling scientific evidence we are discovering about the biological roots of crime. I have three central objectives in writing this book: First, to inform readers of the intriguing new scientific research that I and other scientists have conducted in recent years, focusing on the biological basis for crime and violence. Second, I want to stress that social factors are critical both in interacting with biological forces in causing crime, and in directly producing the biological changes that predispose a person to violence. Third, I want to explore with you the practical implications of this emerging neurocriminological knowledge, ranging from treatment to the legal system to social policy — both today and in the future. I have written this book for the general reader who has at least a passing interest in crime, as well as for undergraduate and graduate students who want an accessible introduction to a new and exciting perspective on crime and violence. Anyone with an inquisitive mind, who is curious about what makes the criminal offender tick will, I hope, find something of interest in these pages. In The Anatomy of Violence I'm going to reveal the internal mechanisms of violent crime as well as the way external forces interact with them to produce criminals. I will lay out what biological research is revealing on the root causes of crime. These deep roots are now being dug up using neuroscience tools, exposing the biological culprits giving rise to violence. Throughout I have included case studies of a rogues' gallery of killers to illustrate my points. More than anything I hope that this book will open your mind not just to how biological research can contribute to our understanding of violence, but also how it may lead to benign and acceptable ways of reducing the suffering violence causes to societies throughout the world. Biology is not destiny. We can unlock the causes of crime with a set of biosocial keys forged from a new generation of integrative interdisciplinary research combined with a public-health perspective. But we need to exchange views in an open and honest dialogue in order to ensure sensible use of this new knowledge for the good of everyone, to develop a framework for further research, and to firmly grasp the neuroethical issues surrounding neurocriminology to more effectively apply this new knowledge. We'll begin our discussion with that pivotal moment when a scientist other than myself stared at the anatomy of a different violent offender, and began the long and precarious journey along the causeway of neurocriminology. From The Anatomy of Violence by Adrian Raine. Copyright 2013 by Adrian Raine. Excerpted by permission of Pantheon Books. It was very hot that July night, and I could not sleep. I had kept the windows open to try to stay cool. I tossed and turned, still somewhat sick and sleepless—in and out of consciousness, as my girlfriend slept in the room's other single bed. It was just after three a.m. when I became aware of a stranger standing above me. At that time I was teaching a class on criminal behavior, and I would tell my students that when they became aware of an intruder in their apartment, they should feign being asleep. Ninety percent of the time thieves just wanted to grab the goods and then get out. Let them go—then call 911. You run no risk and have a fighting chance of getting your possessions back without a violent confrontation. Both were young Turkish men. Both were naked from the waist up—just as the attacker had been. One was quite a good-looking man, but otherwise there was nothing out of the ordinary about him. The second suspect had a rougher look. He was also stocky and muscular, and what flashed through my mind at that moment was that he had the classic mesomorphic physique that early criminologists believed typified criminals. He also had a striking scar on his upper arm. His nose looked as if it had been broken. His looks persuaded me. He had to be the man who'd tried to cut my throat. I gave my testimony. The judges asked me how I could identify the assailant given that the incident had occurred just after three a.m. and it had been dark. I described to them how the moonlight was streaming through the window by my bed, illuminating one side of the assailant's face as we struggled. That I had frantically wrestled with him and that that gave me a sense of his stature and build. I said that I could not be completely sure—but frankly, whether that part ever got translated, I'll never know. Until that experience in Bodrum, violence had been primarily an academic concern for me. I'd tolerated my fair share of small-scale crime up to that point—two burglaries, theft, and an assault—but having one's throat cut can change the way one looks at the world, or at least at one's self. My girlfriend and I left the next day for Greece, but as I simmered under the hot sun on the beach in Kos, I remember suddenly feeling a surge of anger about the whole ordeal. The thief, who easily could have killed me, had gotten off easy. He should have been beaten up. His throat should be cut. He should spend the rest of his life a fitful sleeper, hypersensitive to the slightest sound in the night. A few years inside did not seem like justice. It perhaps should have been enough, but to me, especially at that moment, it wasn't. But another man inside me doesn't give a damn about what caused my attacker to develop into a violent offender. Mr. Hyde retorts that the man nearly killed me and he should be nearly killed too. To hell with forgiveness and pseudoscientific drivel about early biological risk factors that constrain free will. Out of professional interest, I should have investigated further, but at the time, in his specific case, I did not care. I do know that during the summer months before attacking me he had already committed nineteen thefts—he owned up to the police after his capture so he would not later be prosecuted for them. None of these victims had been injured—so I put down my bad luck to Mr. Hyde's instinct of leaping up at him and grabbing him by the throat. In any event, Hyde rants that a recidivistic criminal like him should be locked up and the key thrown away forever—we need to protect ourselves from these dangerous villains. In the intervening years I've had more time to reflect on my reactions to that attack. Is defensive aggression genetically built into us? Can my brain be wired to aggressively respond even though my rational mind, trained by years of experience, tells me that's just not the right response? And what do I make of the fact that my physical perception of that suspect in the identity parade biased me to conclude he was the culprit? During that instant there in the hotel lobby, as I gazed on his torso and face, there was literally a "body of evidence" standing in front of me, a man with the anatomy of violence written all over him—a body I'd had tangible experience of during my struggle. That body of evidence, and the sliver of moonlight streaking into the dark bedroom allowing me to see my attacker's face, symbolizes to me in a metaphorical sense the dawning of a new beacon of research light helping us to identify the violent offender—and what makes him tick. A radical change has been taking place in recent years regarding our understanding of how and why people become violent criminals. That change is what The Anatomy of Violence is all about. Today this perspective is slowly but surely seeping into public consciousness, largely because of two recent scientific developments. First, molecular and behavioral genetics is increasingly demonstrating that many behaviors have in part a genetic basis. Genes shape physiological functioning, which in turn affects our thinking, personality, and behavior—including the propensity to break the laws of the land, whatever those laws may be. Second, revolutionary advances in brain imaging are opening a new window into the biological basis of crime. Together these two advances are prodding us to redefine our sense of self. They have jointly placed us on the threshold of the new discipline that I call neurocriminology—the neural basis to crime—which involves the application of the principles and techniques of neuroscience to understand the origins of antisocial behavior. By better understanding these origins, we will improve our ability to prevent the misery and harm crime causes. The anatomy of violence encapsulates this exciting and vibrant new approach to the discipline of criminology that Lombroso himself spawned but that had been all but abandoned throughout the twentieth century. There is a third development that is not so much scientific as an undeniable historical fact. The heavy emphasis on an exclusively social approach to crime and violence throughout the last century did nothing to turn the rising tide of this perennial problem. It is widely acknowledged in criminology that as crime went up throughout the 1970s and 1980s our society largely gave up on the rehabilitation of inmates. Prisons became holding bays for the unrepentant—not retreats for the rehabilitation of lost souls, as the Pennsylvania Prison Society espoused in the early nineteenth century. That single-minded approach has just not worked. Thinking of human behavior from a biological perspective is no longer controversial—you can hardly open a newspaper or magazine today without reading about a new breakthrough in how genes and the brain shape our personality and influence the moral and financial decisions we make, or what we buy, or whether we turn out to vote or not. So why would they not also influence whether we commit a crime or not? The pendulum is slowly but surely swinging us back to Lombroso's dramatic nineteenth-century intuition, and forcing us to revisit the tangled ethical quandaries and legitimate social fears inherent in applying a neurocriminological approach. But when one considers the myriad ways in which violence plagues us, the stakes are too high, and the potential good is too great, to ignore the compelling scientific evidence we are discovering about the biological roots of crime. I have three central objectives in writing this book: First, to inform readers of the intriguing new scientific research that I and other scientists have conducted in recent years, focusing on the biological basis for crime and violence. Second, I want to stress that social factors are critical both in interacting with biological forces in causing crime, and in directly producing the biological changes that predispose a person to violence. Third, I want to explore with you the practical implications of this emerging neurocriminological knowledge, ranging from treatment to the legal system to social policy—both today and in the future.